One thing I really miss about California is spring time hills covered in golden poppies. It’s such a simple and delicate flower yet they thrive in places that become dry and parched later in the season. I’ve been envious of my California photographer friends posting images of this year’s spectacular blooms. This weekend I was looking at some older images and came across this one I’d never processed. I captured the image on a hillside just outside of Yosemite national park along the Merced River. I was there helping my friend Gary Hart with one of his groups. The combination of a telephoto lens and some gentle breezes are responsible for the painterly feel of the image. I might not see any poppies in person this year but these few put a smile on my face. 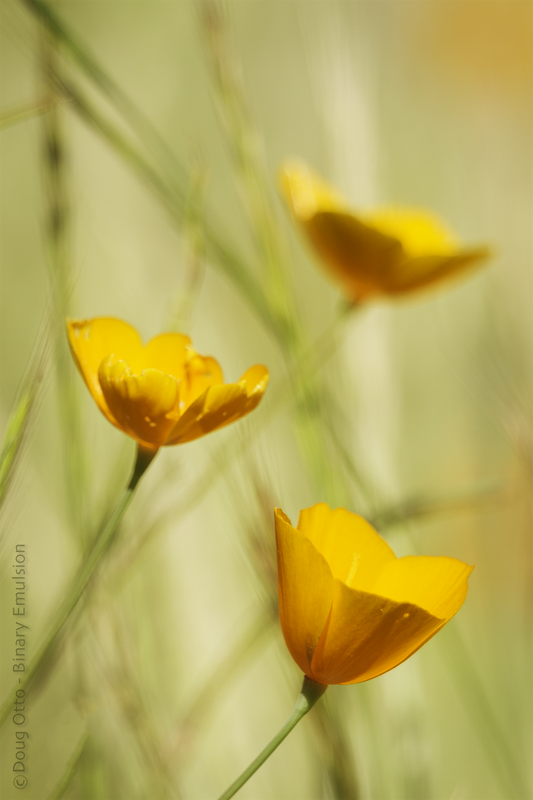 This entry was posted in Photography and tagged California, golden, Poppies, yosemite. Bookmark the permalink.